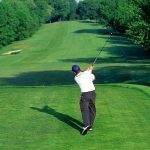 Sports Performance Golf Psychology Coaching: Do you have what it takes to be mentally tough and confident when it counts in your golf game? Watch this video below. Let me know your questions.